This fully-automated insulin delivery system could change the lives of millions. Type 1 diabetes is a nasty disease. The root of the problems associated with it is a near-shutdown of the patient's pancreas, meaning that their body is no longer supplied with the insulin it needs to regulate its sugar levels. 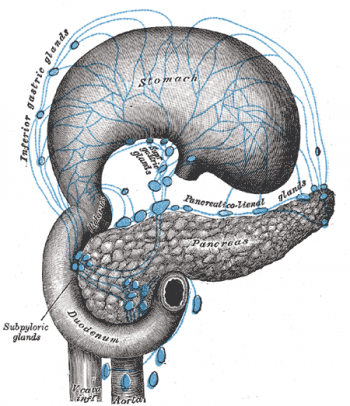 To keep themselves alive, patients are required to either manually inject insulin or deliver it with an implanted pump. But what if the system could be fully automated using advanced technology and sweet robotics? In an attempt to answer that question, one team of researchers has just completed a successful human trial of an independent, artificial pancreas. The artificial pancreas, dubbed the Hypoglycemia-Hyperglycemia Minimizer (HHM), is composed of an implantable insulin pump, a glucose monitor, and advanced software that enables it to predict changes in the wearer's blood sugar levels. Thanks to its monitoring software, it is able to inject the right amounts of insulin in response to the person's changing needs with astonishing speed and accuracy. In its first feasibility study earlier this month, the HHM proved capable of tracking and stabilizing blood sugar levels in 13 patients over a 24 hour period. The system alternated between closed-loop (managing things on its own) and open-loop (assisted by humans) phases, including periods where the patients were supplied with food designed to deliberately stress the system out. Right the way through, the HHM and its smart software were able to maintain stability in sugar levels and predict rises and falls in said levels above or below set thresholds. The system was created and tested by the Animas Corporation in conjuction with the Juvenile Diabetes Research Foundation, with the eventual aim being the creation of a closed-loop insulin delivery system for Type 1 diabetics. This successful trial will now allow the researchers involved to further test and develop the technology. Although diabetics regularly receive glowing news about the latest and greatest leaps forward in insulin technology, the HHM is a little different for one reason: it can function closed-loop. If it passes further stages of research and development, it could dramatically change the daily lives of the millions of Type 1 diabetics worldwide who need to manually monitor their blood sugar and then calculate and inject the right amount of insulin throughout the day. Of course, such a device would always carry the risk of mechanical failure or a snafu in the software; it remains to be seen whether or not patients would be willing to trust something like this with their, well, lives. The wider implications, and what they mean for the future of the human body and intricate integrated hardware, are interesting too. Would you trust an algorithm with anything more complicated than regulating your heartbeat?